The year was 1996 when we Basant Envelopes N Print Ltd began our journey as the prominent service provider in terms of commercial printing. In the specified category, we are offering designing of complete envelope kits as well as commercial printing & continuous stationary services, with exact specifications asked by our clientele. For our customers, we have assorted varieties of products including Business Envelopes, Complete Envelope Kit and Graphic Design. In addition, we manufacture and supply envelopes to the various corporate as well as commercial needs of our clients, using latest technology, so that they must have enriched business experiences as a whole. Offered range of products is designed at our infrastructure where we have assorted advanced equipment & tools, so that designing of these envelopes must be accomplished in a fruitful way. Our workplace has been developed in an organized way and there, we have made assortment of latest range of machinery & tools, required to accomplish our business tasks in a convenient way. We render our printing services using proven & latest technology, so that our customers must have excellent results at the end. In the process, as we are engaged in designing varieties of envelopes we are incorporated with professionals having vast industry experience and being well-versed with the market requisites. It has been our prior consideration to offer our customers products and services as per their expectations and thereby, we are engaged in the specified business committed towards following and maintaining industry laid parameters. 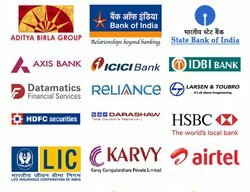 Today, we are sourcing our offered products and services to most of the reputed names of the industry such as TATA, Wipro, Zee Network, Cox & Kings, ACC, Gujrat Gas, Vodafone, Bluchip, India Post, Godrej and Colgate-Palmolive. Mr. Devesh Kabra, our pathfinder and mentor has enabled our firm to attain immense success in the specified stream and to develop business terms with most of the known names of the industry. Utilizing his vast experience in paper industry and innate marketing skills, we have been able to bring forth services & products as per industry set standard. We are here to make our customers satisfied and for the reason, are committed & liable towards introducing best-in class products and delivering world-class services as well. Manufacturing and Trading of printing services. Suresh Kabra founded the company Basant Envelopes in 1986. He became the Managing Director after the company turned public in 1996. Prior to this, he has worked for a Paper trading firm. Mr. Kabra has extensive experience in Printing and Envelope Manufacturing Industry and has gained good clients in various sectors backed by his marketing ability and industry knowledge. Mr. Kabra has good relations with almost all major printing houses in the country. He has studied Bachelors in Commerce from Chetna Institute of Commerce. Gopal Krishnan has been with Basant Envelopes-N-Print Ltd. since the past 10 years. Earlier, he has worked as an independent trader of waste paper. With his vast experience in Paper industry and innate marketing skills, he has developed many good corporate clients for the company. Ramesh Bhosle has been with the company for the past 25 years. His experience, knowledge and reach to the local market are unparalleled. He has been a key contributor in making the company to where it stands today. Ramesh Chowdhary has been with Basant Envelopes-N-Print Ltd. since 2006. Prior to this, he has worked as Printing Head at other Printing houses and also as a self-employed binder. His Printing and binding experience has helped the company grow at a great pace. Sunil Landge has been with the company for the past 10 years. He handles the automatic envelope production and procurement for the company. From the very beginning, we have been a firm focused towards maintaining & following stringent quality protocols to conduct & regulate the entire venture. When it comes to our offered services, we use latest technology and step by step methodology to accomplish the printing assignment undertaken. Our offered range of envelopes are designed using finest quality materials and with the help of advanced tools & equipment, so that outcomes offered to our customers must be perfect in designing as well as of unmatched quality. In order to offer our customers cost-effective as well as qualitative services & products, we are incorporated with team of experienced professionals. These personnel have years of industry experience and are well-versed with the market needs. We hire our workforce based on their previous industry experience and through stringent selection procedures. Our team is committed and liable towards accomplishing their assigned duties in a fruitful way utilizing the advanced work facilities. Divisions have been made at team level, so that work hierarchy must be established during working hours. Our firm was initiated with a vision to offer our customers products & services as per their expectations in terms of result & quality. In the process we are incorporated with team of experienced professionals, responsible for successfully handling our business venture. The specified category of envelopes is designed using premium quality materials, so that their efficient usage could be brought forward. Our offered services in context of commercial printing are executed as per customers’ specifications and thus, relevant to the details offered from their end. We use advanced technology ad are incorporated with best team, so that our customers must have excellent business experience on the account of using our offered services as we’ll as products. To provide quality, committed and prompt service to our customers. Time and again, our clients have counted on us to produce the industry's "best”. Our enthusiasm and facilities meet the most demanding and challenging requirements. We strongly believe in our motto of quality, committed and prompt service and every employee in the company strives to provide the best of the services to our clients. It is our focus on getting the job done right that assures customers that they will receive the highest quality envelopes in the shortest time frame and be comfortable knowing that we will meet all of their needs. To become the most trusted and largest Envelope Kit Solutions provider in India by leading the changes brought in the industry so as to help our clients grow.